Once there were two poetic souls wandering around Europe. Eventually they met each other and put their longing for love and true feeling in sounds. 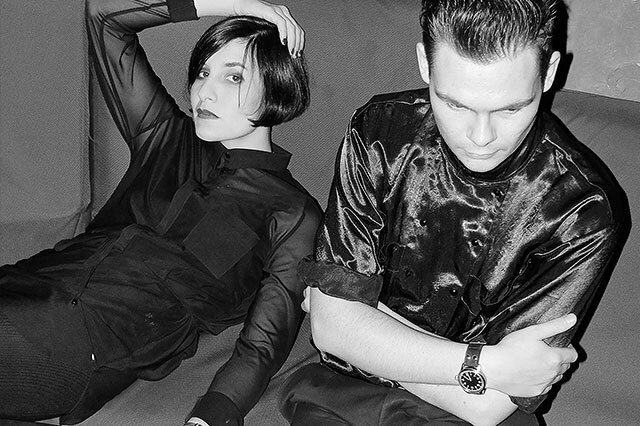 In July 2010 they formed Lebanon Hanover, an ice cold reply to the alienated world coming from two warm beating hearts. The duo of Larissa Iceglass and William Maybelline appear as true romantics of the modern age, admiring William Wordsworth, fascinated by the beauty of art nouveau aesthetics, exploring British seashores and forests at night as well as inspired by the urbanism of Berlin. They expressed those unique senses in albums ''Why not just be solo'' and ''The world is getting colder'', released on Fabrika Records label. Their sound share many sensibilities with the fragility and elegance of French cold wave, the most subtle elements of goth rock, minimal wave aesthetics.